Monday March 9th: Some one spoiled Sissy: Nonnie and Poppie kept Jackson and Brylee today b/c we both had a teacher work day! 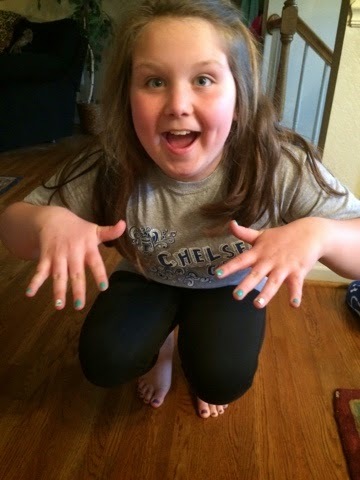 Brylee loved being spoiled by Nonnie... She got a mani & a pedi!!! 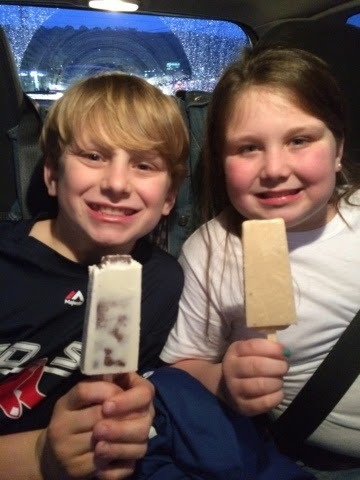 Tuesday, March 10th: Steel City Pops- Daddy had several errands to run and all I wanted to do was stay home because it was rainy and yucky so he bribed us with steel city pops so we would go with him!!! He drives a hard bargain! Wednesday, March 11th: puzzles!!! 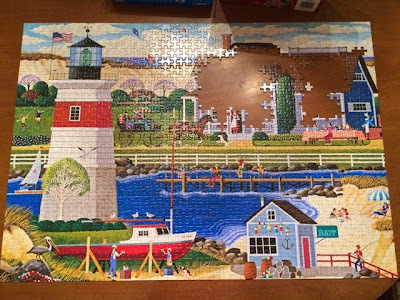 Last week when we had the snow/ice day we went to Walmart and picked up this puzzle! It quickly became my addiction and I have wasted lots of time working on it! Oh well at least I will make a great12 old person one day.... I can sit in the nursing home and do puzzles!!! LOL!!! Thursday, March 12th: Smile it's school picture day!!! Brylee was all ready looking super cute for her school pictures! 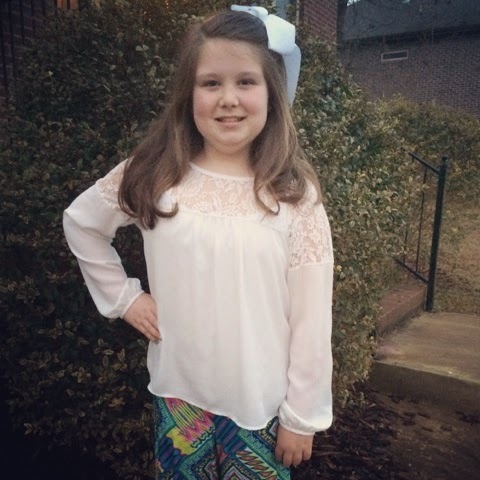 She picked out her outfit; she wanted to wear palazzo pants so that is what she wore! Friday, March 13th: hello spring... 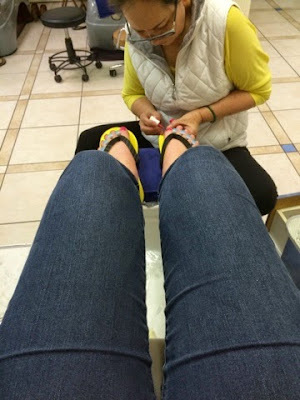 The weather has been warming up and that means only one thing... Time to get a pedicure and pull out the wedges and flip flops!!!! Hello spring!!! Saturday, March 14th: Softball Practice Game... Today Brylee went to Vincent to play a practice softball game! 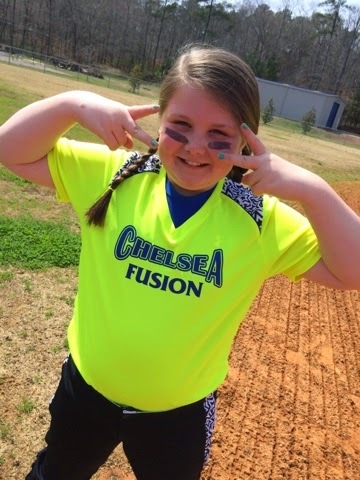 They did great and won 18-0!!! Go Yellow Fusion!!! 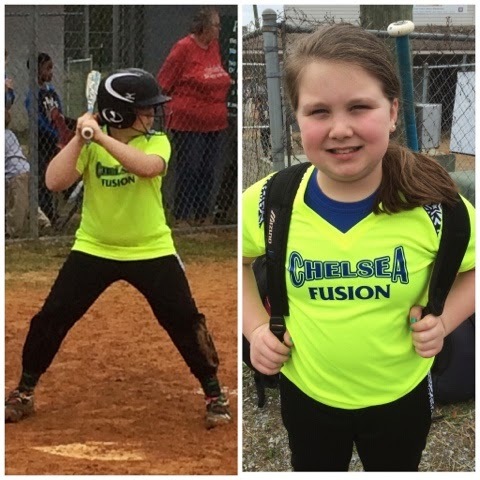 Sunday, March 15th- Opening Day for Softball... Today was Brylee's first softball game... She played great and they won! Yeah!!! Go yellow Fusion and my favorite softball player #21!! !